Learn to patch, paint & finish latex masks with FX master Tim Martin (The Thing, Jurassic Park 3, AVP: Alien vs. Predator). 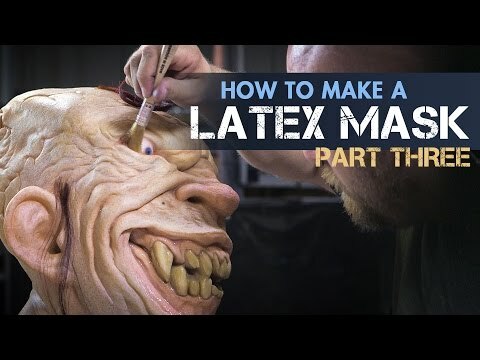 In PART 3 of his 3-part "How to Make a Mask" webcourse series, master character creator Tim Martin (The Thing, Jurassic Park 3, AVP) delivers invaluable tips on how to patch, paint and finish your custom latex mask. From demolding your rubber mask and repairing imperfections, to painting and finishing, and even hair laying, Martin's expert mask making guidance will give you the knowledge you need to create Halloween masks, scary masks or other fantasy character transformations.